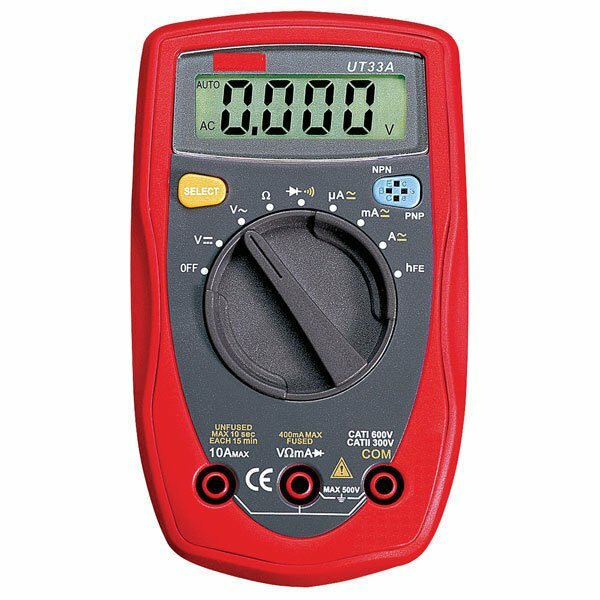 Auto ranging multimeter, IE select amps, volts or ohms and meter will choose a suitable scale when you start to measure. Makes testing easier and quicker as there is no requirement to set the right range. Essential tool for trouble shooting electrical systems. Complete with battery, test leads and full instruction manual.